Across the globe women are forging the path to a better world. From spearheading initiatives, to founding local nonprofits, to investing in the wellness of the underserved population in their cities, women everywhere are taking the reins and going the extra mile—rather, the extra several miles—in serving their community. The following pages hold our ode to such extraordinary ladies in our own cities. 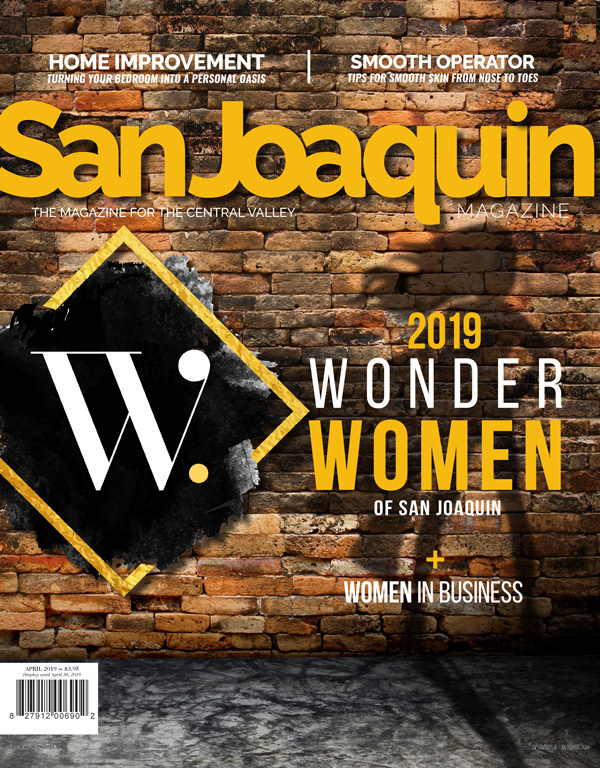 Join us as we applaud these exceptional individuals and behold the Wonder Women of San Joaquin! Cecily Ballungay had always known she was going to pursue a career in human services. Right out of college, Cecily joined Pathways, a Center for Human Services in Stanislaus County. Later, she worked with Manteca Pregnancy Help Center, then United Way of Stanislaus County. Out of all of the new programs Cecily helped to create and implement at Hope Family Shelters, her pride and joy has been “Project Hope”, an internship program for mental and behavioral health students. It worked both ways: high-achieving students needed experience in the field, and clients at Hope Family Shelters needed thorough case management. Before Project Hope, nine percent of clients at Hope Family Shelters were able to settle into a permanent home—after a year of Project Hope, that number boosted to 49 percent. And if you think she was going to stop there, you don’t know Cecily Ballungay—noticing a need for services aimed specifically at teens, she and her staff decided to pitch the idea of opening a children’s wellness center. “It’s a lot more difficult to be homeless as a child than it is as an adult,” says Cecily. “We were seeing an uptick in cutting and suicide attempts in May and started looking for community support.” Luckily, the community response was overwhelming: by January 31st, they received a $90,000 grant from Kaiser Permanente and $65,000 in donations to build a children’s wellness center. To say that Jasmine Leek has a heart for Stockton is an understatement. 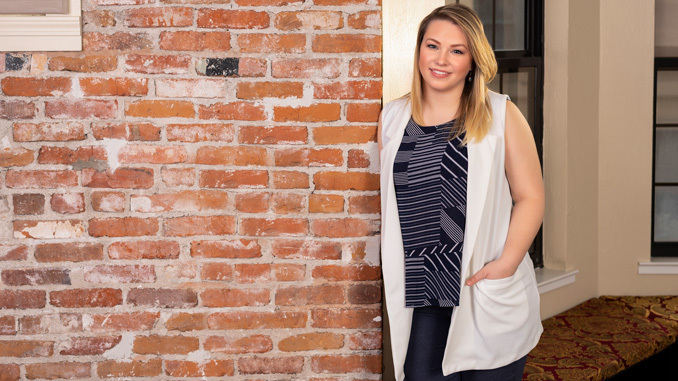 A native Stocktonian, Jasmine went to college at UOP, left for a few years, and then boomeranged back home to serve the community she knew best by co-founding and managing the downtown Stockton nonprofit Third City Coalition. From serving as a launchpad for ideas, to providing startup businesses with the resources needed to get off the ground, to working with the local government to implement sustainable development (that won’t displace current residents), Jasmine and her team at Third City Coalition seek to help Stockton rise to its true potential. Apart from Third City, Jasmine sports a laundry list of local organizations with which she’s worked to see Stockton’s betterment. 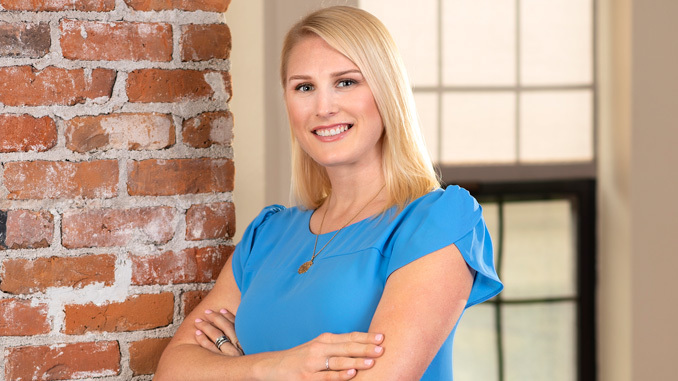 She’s currently treasurer of Community Medical Center, policy director for Stockton Younger Women’s Task Force, sits on several city commissions, and previously served as Executive Director of Huddle, the downtown Stockton coworking space. Keep an eye out for (or join in on) the future efforts of Jasmine and the team at Third City, including but not limited to: a collective impact project in downtown and South Stockton, a community-led walking tour called “Jane’s Walk”, and much more. As Jasmine aptly puts it, why not try to do what you can, when you can? For some people, their life’s purpose is clear even in childhood. Since she was seven years old, Julie Damron always knew she’d be working with animals, from tending to injured animals in her neighborhood, to working at a veterinary clinic in high school, to eventually graduating from UC Davis’ School of Veterinary Medicine. As the Medical Director of the Stockton Emergency Veterinary Clinic and with 22 years of experience under her belt, Julie boasts a long resume of community engagement: She’s a co-founder of the Delta Veterinary Medical Association, she sits on the board of the Delta Humane Society, writes a pet column for The Lodi Sentinel, and is the 2017-2018 UC Davis Don Low Fellow in emergency and critical care. She’s also the founder of Loving Tails, a vaccine clinic that works with the students of the Carrington Veterinary Program to vaccinate the pets of the homeless once a month throughout the county. “We’ll vaccinate between 30-40 animals at each clinic. We also provide flea control, dog food, leashes—and it’s all free,” says Julie. In the future, she hopes to be able to start microchipping animals at the clinics and provide free vouchers for spaying and neutering. While it’s clear she has a heart for animals, Julie’s an advocate for helping the humans of our county, too: Since 2017 Julie’s had her own weekly radio show on “The Voice of Stockton” that highlights noteworthy people and organizations around the city and beyond. She’s a part of the hunger task force as well as the homeless task force. 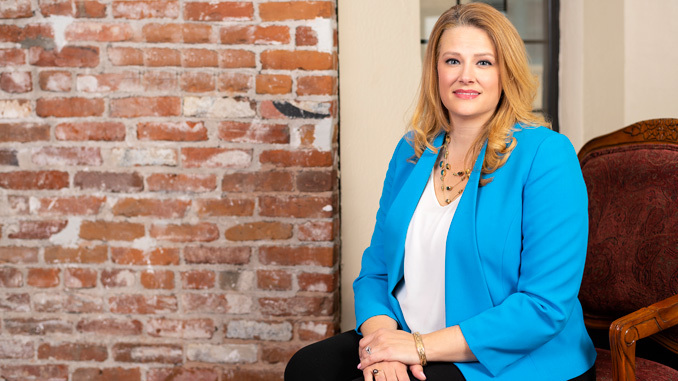 She’s the President of the Stockton Host Lions, incoming Secretary for The Rotary Club of Lodi, and sits on the board of United Way and the Emergency Food Bank. It was 2007 when Kelly’s husband was deployed to Iraq, along with 20,000 other American soldiers during “the surge”. Even after her husband returned from his 15 month deployment, the experience left a reverberating impact on their lives. With over 200 Team RWB chapters across the country, Kelly has been involved in leading the Stockton chapter since 2017. As Chapter Captain, Kelly oversees and organizes events such as Red, White, & Bluegrass, as well as the annual Stockton Veteran’s week. In 2018 her team worked together with UOP to put on a movie screening of “Thank You For Your Service”, and even got the author of the book the film was based on to fly out and be a part of the event. “We had food, drinks, and a panel discussion about what it means to be a veteran and how to navigate those waters,” Kelly says. Apart from her work with Team RWB, Kelly is a member of the Eleanor Project that supports the personal and professional advancement of women. She also works with the Elizabeth Dole Foundation to support military and veteran caregivers—earlier this year, Kelly was honored to be accepted to their highly selective fellowship program. As a California Dole Fellow, Kelly will work with state and local representatives and advocate on behalf of military and veteran caregivers. Ask around about Patsy Querantes, and the phrase “unsung hero” is bound to crop up. 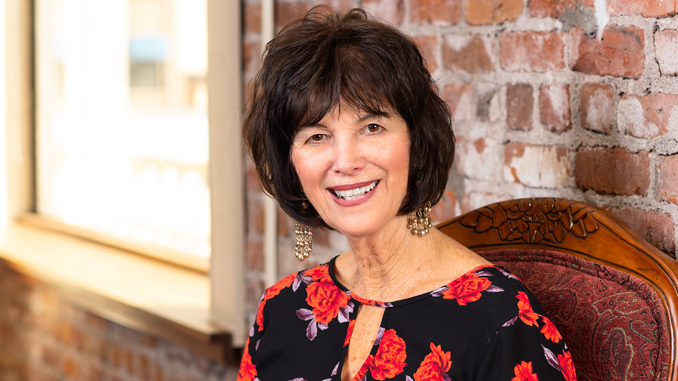 Not only is Patsy a leader in her career at NuStar Energy but also in the Stockton community at large; she’s involved in everything from United Cerebral Palsy, to the Stockton Boys and Girls Club, to United Way. Apart from the numerous committees she sits on, Patsy also engages in annual clean ups throughout the city. Whether it’s California coastal cleanup or city-beautification, you can bet that Patsy Querantes will be there. When the council first began, they had 100 employees on the West Coast logging only 1,200 hours. In 2018, they logged over 8,000. Paula Sheil’s a woman with a reputation to uphold. Whether she’s schooling San Joaquin Delta College students on the subtleties of poetry, managing her own publishing house and writing center, or supporting local grassroots organizations, Paula’s rocking Doc Martens, a silvery mane, and an unwavering passion for Stockton. 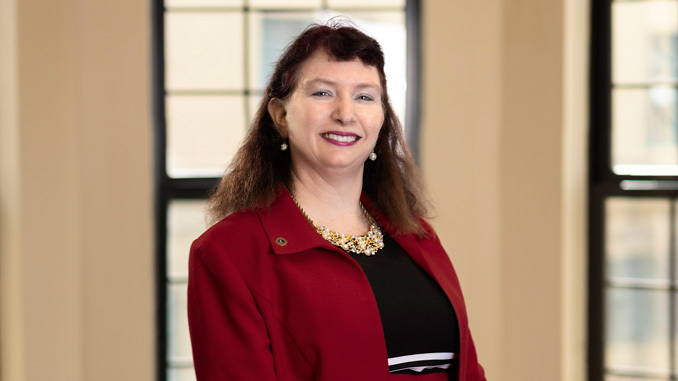 A professor at San Joaquin Delta College and President and founder of her own nonprofit, it’s hard to imagine that Paula has time for much else, so I ask her what inspires her to be so involved in her community. At her core, Paula’s a writer. She was a journalist for The Record for 10 years. She was sought out by New York Times for her op-ed piece about Stockton’s bankruptcy. And if you ask her, she’ll tell you she’s got a paper trail long enough to wrap around the planet—a couple of times. 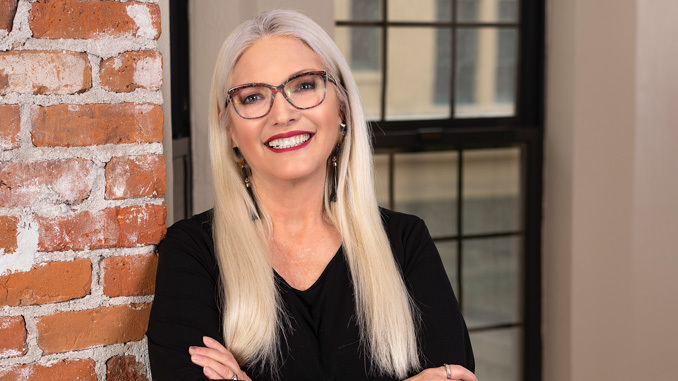 An advocate for increasing Stockton’s literacy on a national scale, Paula spearheaded the founding of The Write Place, a writing center that offers classes and workshops on bookmaking, letter press printing, and creative writing. 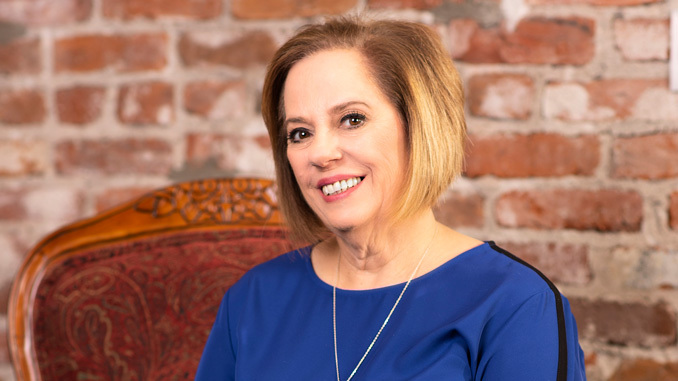 Paula is making waves in her community through other avenues as well: she’s an inseparable part of the maker’s movement in downtown Stockton, she’s worked with the Stockton Arts Commission, and is currently Vice President of the Stockton Arts Foundation. She’s also an advocate of performing arts, often involved with the San Joaquin Delta College theatre program. Some people might think that life ends at retirement, but Sharon Benninger knows the truth is quite the opposite. It was 18 years ago that Sharon and 12 of her friends, whom she refers to as her “band of angels”, decided they wanted to help raise money for a hospice house for Hospice of San Joaquin, and to educate the community about hospice care. For that first English Tea & Champagne event put on by their new Butterfly Auxiliary, 100 people showed up in support. Today, the event is an annual fundraiser that has raised thousands of dollars for Hospice of San Joaquin. Ever hear of “Sip and Stroll”? Sharon, her neighbor Shirley Luke, and her band of angels founded that, too. They now have three more Butterfly Auxiliaries in Lodi, Tracy, and Manteca, and together they’ve raised over a million dollars for the Hospice of San Joaquin. “You get a passion and calling for something, and you may doubt yourself, but you just have to push through. You have to believe you can make a difference,” says Sharon. And Sharon’s work hasn’t stopped at Hospice of San Joaquin: she’s a board member of the Gospel Center Rescue Mission and supports the Haven of Peace. What’s more, in 2017 Sharon, Chinu Mehdi, and her daughter, Meela, founded the “Uplift All Foundation”, a nonprofit with the goal of providing a nurturing environment for Stockton’s homeless and in-need population through offering classes and workshops at St. Mary’s Dining Hall.